Coils must balance voltage output and current output. Increased voltage means more initial ionization at the spark plug gap, but on the other hand it decreases the current, or heat, that subsequently crosses the plug gap. If a coil is engineered to create greater current, then voltage output is usually reduced, at the cost of the ease of ionizing the gap. 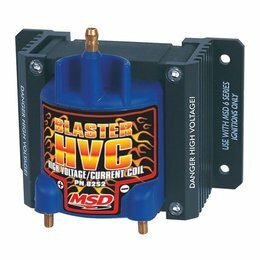 MSD HVC Coils are engineered to deliver maximum voltage as well as energy! 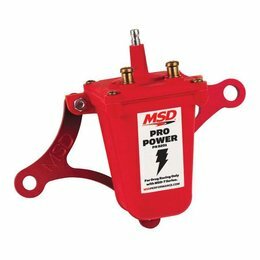 To achieve this mix of high voltage and current, MSD employs an E-core winding. This design is highly efficient with less loss occurring during the transfer of electricity because of the closed core of the coil. 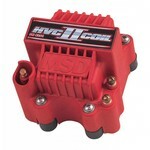 An added plus is that these coils operate extremely cool, even with the high RPMs of racing, due to the efficient design and unique laminations.